You may prepend search terms with + (plus) to denote 'and', - (minus) to denote 'not'. The default is an 'or' of all search terms. 100,000+ Web Pages And Growing! Find Vietnamese-content sites all over the Web or hosted on VietGATE by using our powerful VietSearch engine. That's right: we now have links to over 100,000+ such pages, stored and indexed in our database, thus making us the largest, most complete among all comparable search facilities. Look-Up a specific Vietnamese business in your area, or get a whole list of them by searching the VietGATE Yellow Pages. Browse the Categories we've set up on the Navigation Bar at the bottom of this page. Visit Notable & New sites, already selected in the sidebar on the left for you. Submit your own URL. We'll make sure it becomes part of VietGATE's extensive database. Subscribe to one of the fun, popular Mailing Lists operated by Viet.net. Above all, have fun, enjoy the Net, and tell us what else you'd like to see in VietGATE. 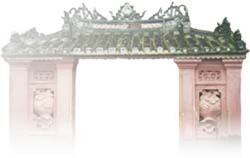 www.vietgate.net, vietgate.net, www.viet.net or viet.net. No other URL, however similar, is part of or is operated by VietGATE. Please send all inquiries to webmaster@viet.net.